When compared to other equipment in a hydrocarbon processing plant, the piping network is designed to the most stringent standards. Mechanical Engineering codes require a 400% safety factor in the design of these systems. The piping system is normally considered the safest part of the plant. However, even with this level of safety, reviews of catastrophic accidents show that piping system failures represent that largest percentage of equipment failures (1). Since these systems are responsible for many catastrophic accidents, operations, design, and maintenance personnel should understand the potential safety concerns. The best tool that we have to prevent future accidents is to review past incidents and incorporate lessons learned into future design and operation of piping systems. 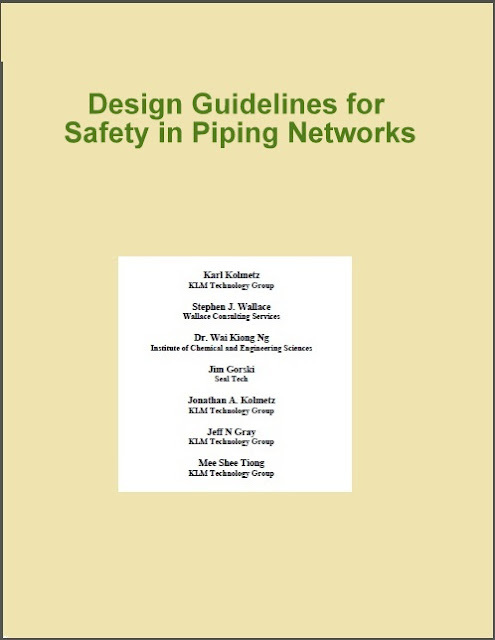 This paper will discuss various case studies that will help to illustrate the consequences of inappropriate design, operation, and maintenance of piping systems. The case studies include 1) Check valve failures; 2) Small bore piping in compressor discharge piping, 3) Low temperature embitterment, and 4) Hot tapping safety issues and hot tap shavings concerns.